The OL 100A Irradiance Standard is a high-intensity standard consisting of a 1000- watt, DXW, tungsten-halogen lamp mounted in a slip-cast, fused silica reflector. The spectral irradiance calibration of this lamp covers the 300-750 nm wavelength. The OL 100A uses the OL 410-1000 Precision Lamp Source, OL 56 Lamp Holder and the OL 63 Adjustable Lamp Holder Mount. The OL 100B Irradiance Standard is a high-intensity standard consisting of a 1000- watt, DXW, tungsten-halogen lamp mounted in a slip-cast, fused silica reflector. The spectral irradiance calibration of this lamp covers the 750-2500 nm wavelength. The OL 100B uses the OL 410-1000 Precision Lamp Source, OL 56 Lamp Holder and the OL 63 Adjustable Lamp Holder Mount. The OL 100D Irradiance Standard is a high-intensity standard consisting of a 1000- watt, DXW, tungsten-halogen lamp mounted in a slip-cast, fused silica reflector. The OL 100D uses the OL 410-1000 Precision Lamp Source, OL 56 Lamp Holder and the OL 63 Adjustable Lamp Holder Mount. The OL 100H Irradiance Standard is a high-intensity standard consisting of a 1000- watt, DXW, tungsten-halogen lamp mounted in a slip-cast, fused silica reflector. The spectral irradiance calibration of this lamp covers the 300-2500 nm wavelength. The OL 100H uses the OL 410-1000 Precision Lamp Source, OL 56 Lamp Holder and the OL 63 Adjustable Lamp Holder Mount. The OL 100P Irradiance Standard is a high-intensity standard consisting of a 1000- watt, DXW, tungsten-halogen lamp mounted in a slip-cast, fused silica reflector. The OL 100P uses the OL 410-1000 Precision Lamp Source, OL 56 Lamp Holder and the OL 63 Adjustable Lamp Holder Mount. The OL 100U Irradiance Standard is a high-intensity standard consisting of a 1000- watt, DXW, tungsten-halogen lamp mounted in a slip-cast, fused silica reflector. The OL 100U uses the OL 410-1000 Precision Lamp Source, OL 56 Lamp Holder and the OL 63 Adjustable Lamp Holder Mount. The OL 200A is a 1000-W DXW irradiance standard lamp. These lamps have tungsten coiled-coil filaments enclosed in a small quartz envelope. The spectral irradiance calibration of this lamp covers the 250-750 nm wavelength but 1000-W DXW lamps have the ability to be calibrated out to 4500 nm. The OL 200A uses the OL 410-1000 Precision Lamp Source, OL 56 Lamp Holder and the OL 63 Adjustable Lamp Holder Mount. The OL 200B is a 1000-W DXW irradiance standard lamp. These lamps have tungsten coiled-coil filaments enclosed in a small quartz envelope. The spectral irradiance calibration of this lamp covers the 750-2500 nm wavelength but 1000-W DXW lamps have the ability to be calibrated out to 4500 nm. The OL 200B uses the OL 410-1000 Precision Lamp Source, OL 56 Lamp Holder and the OL 63 Adjustable Lamp Holder Mount. The OL 200C is a 1000-W DXW irradiance standard lamp. These lamps have tungsten coiled-coil filaments enclosed in a small quartz envelope. The spectral irradiance calibration of this lamp covers the 250-2500 nm wavelength but 1000-W DXW lamps have the ability to be calibrated out to 4500 nm. The OL 200C uses the OL 410-1000 Precision Lamp Source, OL 56 Lamp Holder and the OL 63 Adjustable Lamp Holder Mount. The OL 200D is a 1000-W DXW Total Irradiance standard lamp. These lamps have tungsten coiled-coil filaments enclosed in a small quartz envelope and 1000-W DXW lamps have the ability to be calibrated out to 4500 nm. The OL 200D uses the OL 410-1000 Precision Lamp Source, OL 56 Lamp Holder and the OL 63 Adjustable Lamp Holder Mount. The OL 200H is a 1000-W DXW Total and Spectral Irradiance standard lamp. These lamps have tungsten coiled-coil filaments enclosed in a small quartz envelope. The spectral irradiance calibration of this lamp covers the 250-2500 nm wavelength but 1000-W DXW lamps have the ability to be calibrated out to 4500 nm. The OL 200H uses the OL 410-1000 Precision Lamp Source, OL 56 Lamp Holder and the OL 63 Adjustable Lamp Holder Mount. 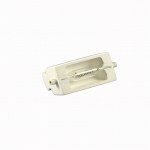 The OL 200IR is a 1000-W DXW irradiance standard lamp. These lamps have tungsten coiled-coil filaments enclosed in a small quartz envelope. The spectral irradiance calibration of this lamp covers the 250-4500 nm wavelength but 1000-W DXW lamps have the ability to be calibrated out to 4500 nm. The OL 200IR uses the OL 410-1000 Precision Lamp Source, OL 56 Lamp Holder and the OL 63 Adjustable Lamp Holder Mount. The OL 200M is a 1000-W DXW Irradiance Standard lamp. These lamps have tungsten coiled-coil filaments enclosed in a small quartz envelope. The spectral irradiance calibration of this lamp covers the 250-1100 nm wavelength but 1000-W DXW lamps have the ability to be calibrated out to 4500 nm. The OL 200M uses the OL 410-1000 Precision Lamp Source, OL 56 Lamp Holder and the OL 63 Adjustable Lamp Holder Mount. The OL 200P is a 1000-W DXW Illuminance Only Irradiance Standard lamp. 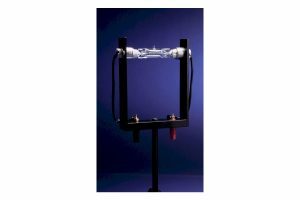 These lamps have tungsten coiled-coil filaments enclosed in a small quartz envelope and 1000-W DXW lamps have the ability to be calibrated out to 4500 nm. The OL 200P uses the OL 410-1000 Precision Lamp Source, OL 56 Lamp Holder and the OL 63 Adjustable Lamp Holder Mount.